Welcome to The Natural Web, dedicated to exploring, understanding and enjoying the plants and critters who surround us, and the intricate connections among them, and with us. Do you enjoy watching birds and butterflies visit your yard or property? Would you like to increase the number and diversity of these lovely creatures that you might see every day? You can, if you give them the plants that provide the food and shelter they need. Over many centuries, birds, butterflies, bees, moths and other critters have evolved together with plants in such a way as to develop mutually beneficial relationships that enable them to survive. As a result, many bees, butterflies and birds have special preferences for specific plants found in our area. A plant species’ survival may depend on a particular bird, insect or other intermediary for pollination or seed dispersal services. In return, the plant may reward its partners in reproduction with the food they need in the form of nectar, pollen, berries, seeds, or leaves. A bird or insect may depend on specific plants for nesting materials, or a safe place to make a home. I find nature endlessly fascinating. Even in a familiar place, it’s hard to go for a walk without learning something new, or seeing something I’ve never seen before. I am a freelance naturalist, writer, photographer and educator, living in New Jersey. I teach classes about native plants, and about the relationships between plants and animals (including humans!). 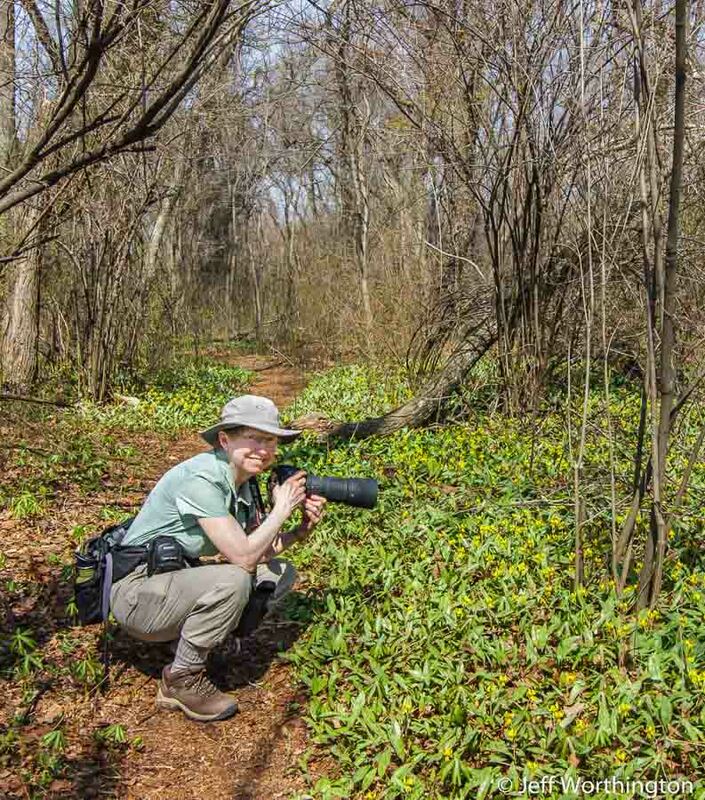 I’m an instructor at Bowman’s Hill Wildflower Preserve, a Pennsylvania Master Naturalist, and the Associate Editor of Butterfly Gardener, a magazine published by the North American Butterfly Association. My photographs have been featured in numerous publications. The writing and photographs on this website are mine, unless otherwise noted. For permission to use content, contact me at info@the-natural-web.org.